There are many ways to access and manage databases. There are dedicated database applications that allow you to manipulate databases as well as manage access to them. Another method is to directly connecting to the database server and running SQL statements using command-line utilities, although this is for highly advanced database administrators or someone who’s really brave. Using terminal consoles to manage databases isn’t recommended for new users or those just starting with managing database servers. The third and most popular method is to manage database servers using web browsers. This is true especially for MySQL or MariaDB databases. Using web browser to access and manage databases is the fastest and easiest way yet. 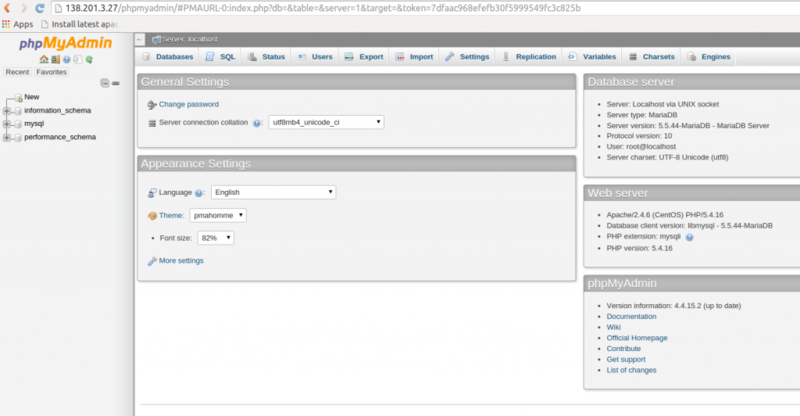 With phpMyAdmin tool, one can perform almost any database functions from the browser. This article is going to show you how to install phpMyAdmin and use your favourite web browsers to manage MySQL or MariaDb databases in CentOS 7 or RHEL 7. If you have a fresh server, you should configure lamp stack. Please read my article from here to know how to configure a LAMP stack. The following are the software requirement for this installation. By default, centos 7 repository does not contains phpmyadmin package. we need to enable EPEL repository.The EPEL repo (Extra Packages for Enterprise Linux) contains many additional packages, including the phpMyAdmin package we are looking for. After installation open /etc/httpd/conf.d/phpMyAdmin.conf file ( Apache config file for phpmyadmin ) and edit as follows. Save and close out. Then restart Apache service . 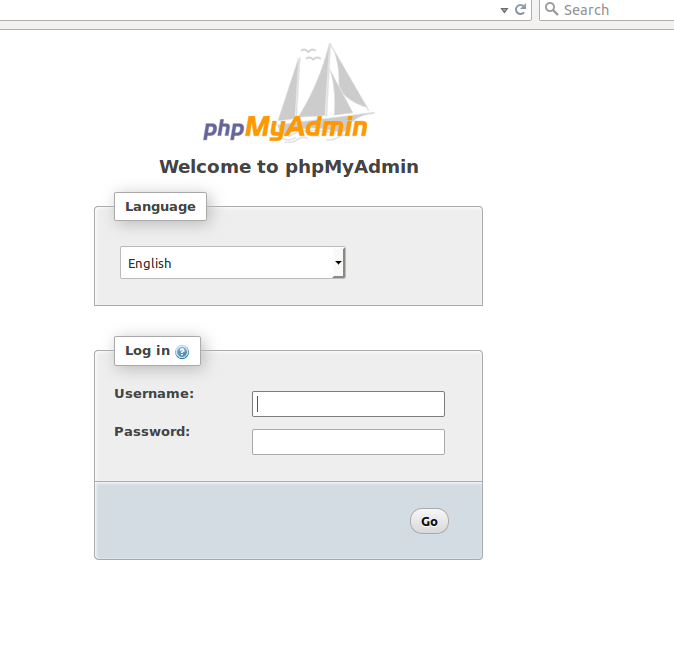 Now our PhpMyAdmin is operational.Go and access phpMyAdmin by typing server hostname or IP address followed by phpmyadmin. Then you can login to the database using user name and password of mysql created during LAMP configuration.